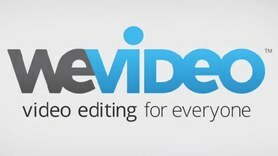 WeVideo is a cloud based movie editing tool that is FREE to use. The built in help videos and tutorials make video editing a breeze! Sign in with your SCHOOL GOOGLE ACCOUNT to get the full version. Most multi-media projects and presentations require you to use photos. Don't rely on Google Images! Impress your audience by checking out some of these great sites which offer copyright friendly pics and free photo editing.